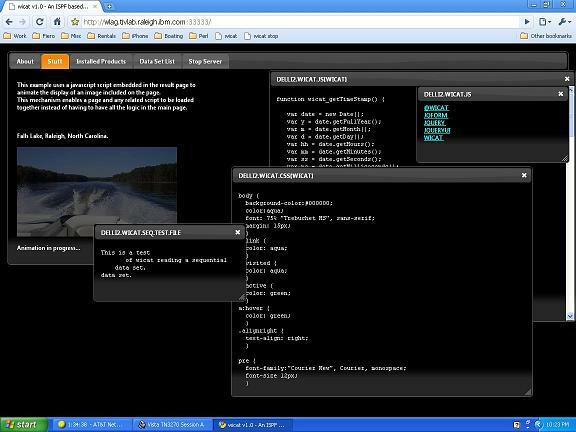 Many (many) moons ago, way before I’d even heard of AJAX and JQuery and such tools, I wrote (as a proof of concept) a REXX based web server using REXX sockets and a ‘framework’ address space I’d developed some time previously that provided several facilities like multi-tasking and console access. Recently I was looking at one of our ISPF based applications and wondering how the heck you could give it a web interface. There’s an ISPF GUI client but really, it just brings a 3270 interface onto the desktop and you still need a real 3270 session going (usually via an emulator) to use it. All pretty pointless in my opinion. 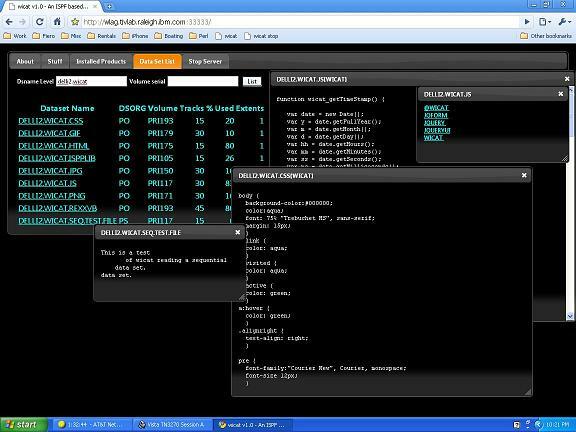 But then I thought (as you do), hang on, what if I could run my REXX web server INSIDE my ISPF session? Since it would be running under ISPF it would have access to all the ISPF facilities and yet it could do it’s own thing as far as the UI in the browser was concerned. As it would be running inside my TSO/ISPF session, it would only need to be a single user server so I would not need the multi-tasking facilities of the framework address space I’d used before and as it was running inside my session, it would be subject exactly the same security rules as if I were on the ISPF session itself (since I am really). It only took a couple of hours to merge the old client code with the main server code to give me a workable single user web server. See, I’ve even made it look like a 3270 screen!